Here at Redeemer Christian School we offer many opportunities for our students to get involved in athletics. We play in the Cleveland Lutheran Elementary League (CLEL) that is comprised of about a dozen Lutheran Schools in our area. For our 5th and 6th graders, we have a basketball league in the winter. For our 7/8th graders, we have volleyball, basketball, and track for boys and girls. 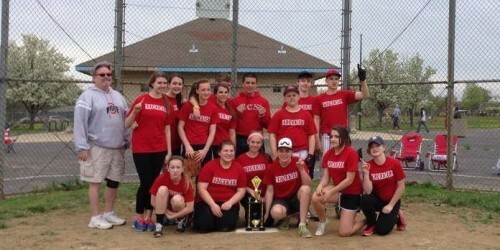 We also have an 8th grade softball team that plays in a one day tournament in May. All these teams compete with a positive Christian attitude and demonstrate their faith by using their God-given talents for His glory. Go Raiders! Sports passes are available for the basketball season. Cost is $25 for a family, $10 for an adult, and $5 for a student. See Mr. Jones for tickets or further information or answers to questions you may have. The passes are good for all home games and regular season away games. They are not good for away games vs. local schools (Valley Christian, Summit Christian, Emmanuel Christian, Arlington Christian). They are not good for tournament games.